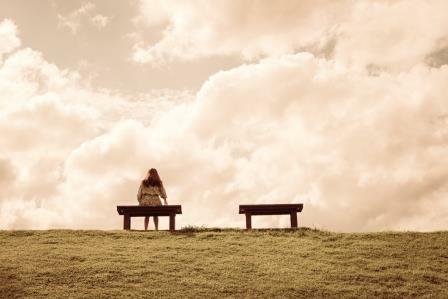 The Psychic Gift Blog - Is being lonely the latest Taboo? In a world where we seem to share anything and talk about everything, it seems strange that it is considered highly embarrassing to admit that you are lonely. People often mistake being alone for being lonely, but they are two very different things. Plenty of people that choose a single existence, or have it thrust upon them live full and meaningful lives with plenty of human interaction and connections, but conversely there are many people who are in relationships, surrounded by family and friends and still feel lonely. Of course, each of us will have different ideas about what constitutes being lonely, but you might be shocked to discover just how many young people this is impacting, it is not all your stereotypical old person living alone at the end of the lives scenario. One reason is people prioritising work, over relationships. Getting into work early, finishing late, commuting etc, is leaving people with smaller amounts of time to forge and maintain meaningful relationships, and folk have less energy to go out after work once home chores are complete. Social media has played a role, with many spending hours perusing friends accounts, as opposed to actually making real-life dates to meet up. Many of us are now working from home, taking away a whole group of people that we might otherwise have interacted with on a day-to-day basis. In a lot of cases, going about our lives we are having ‘interactions’, conversations with partners, children, family and so on that involve, taking the dog to the vets, getting gym kit ready, making sure homework is done, what to have for tea tonight etc. But don’t actually contain in-depth conversations that are life-affirming, and really get to a person’s heart in terms of thoughts and feelings on what is going on in their lives. Use social media the way it was intended, to enhance and strengthen your real-life relationships. Use it as a way to arrange physical meet-ups with people you actually know and want to spend time with. Then use the social aspects of it, to keep in touch in between seeing them, so that they know you are thinking of them and vice versa. Organise your family life in a way that encourages interaction and conversation. That could be limiting screen-time. Having family evening meals around a table. Once a week having a board-game night. Encourage relaxing fun time, where everyone is present and focused on each other, you might be surprised by what conversation flows. If a lack of friends, or no work colleagues is a problem, then try and find some like-minded people to do activities with that you enjoy. Try saying yes to more things, especially those that will bring you in to contact with others. Let the people you do know, that you are interested in meeting new friends, not necessarily romantic friends, but just people to share interests with. Considering a new hobby, sports or even volunteering are great ways to start.